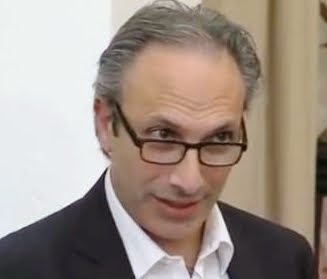 Development Horizons by Lawrence Haddad: Geneva: global development’s best kept secret? When I think of public policy centres of power in international development, I tend to think of Brussels, London, Nairobi, New York, Rome, Washington DC etc. I don’t think about Geneva as much as I should. Until now. GAIN is headquartered in Geneva and I am spending more time in the city. Last week I met with the Director General of the UN Office of Geneva. The preparation for the meeting made me realise just how many stellar organisations there are working on development and humanitarian issues: The Global Fund, GAVI, ILO, IRC, SUN, UNAIDS, UNHCR, UNHRC, UNCTAD, UNRISD, WHO, WTO and, of course, GAIN. 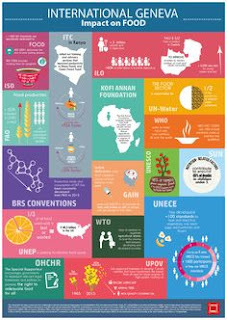 The list goes on — and these are just the HQ organisations, for example UNEP has a regional centre of 400 people in Geneva working on environmental issues! So why didn’t Geneva quickly spring to my mind as a development powerhouse? No doubt, partly due to my own need to get out more. Perhaps it is also due to my limited knowledge of the humanitarian space where the city is so strong. But I think partly it is due to the fact that Geneva has not really sold itself well as a development and humanitarian ecosystem. That is changing. The UN Office of Geneva is trying to create a whole that is greater than the sum of the parts. It is doing this in several ways, including by changing perceptions about the city (e.g. 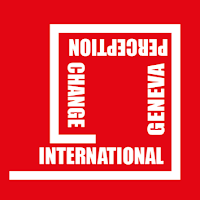 I am told that 10% of Geneva residents work for these types of organisations and many more people depend on them economically), encouraging substantive issue and networking events (see below) and by engaging the media in ways that tell everyday stories about the UN (e.g. “how does the UN affect you?”). GAIN is already playing its part. 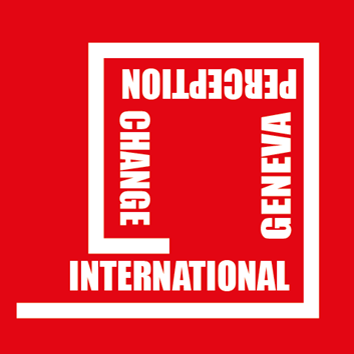 We are members of the Perception Change Project which aims to engage Geneva's youth on global issues. Most immediately we are hosting an event on November 10 in Geneva on issues around urban food and nutrition security. (Details to come on GAIN’s website) I have written on this issue before, but it feels like its time has now arrived. Why? First because urbanisation is clearly driving poor diets throughout the world—high levels of consumption of ultra processed foods that have high concentrations of sugar, fat and salt and not too much else. Second, the citizens of cities are close to governments and can make their presence felt—city governments have to pay attention. Third, city governments have a fair bit of leeway to actually change the food environment their residents face: for example they control land use through planning permits, they can incentivise via the granting or withholding of licences to retailers and their residents represent a concentrated mass of potential consumers for businesses—so businesses have to pay attention to city regulations if they want access to the market.